Many of you would have heard the phrase “that’s just a hospital job”. This usually means a filler job when the contractor has nothing better to do. We use the term literally as we go from one job at a hospital to another job at a different hospital. Driving energy efficiencies into the NHS and private hospital estates by fitting the uniquely cost effective RABScreen means that we are working very hard. The RABScreen is an external filter that removes all of that dust, debris and pollen BEFORE it hits the frost coil on and other sensitive areas of any HVAC equipment. The above video shows an example of just what is in the air around us. This was two weeks after the installation. We live in a green and pleasant land and yet filters, coils and other equipment soon lose their efficiency when pollen, seeds, leaves and other airborne debris starts to clog filters and coils. . In built up areas we have to contend with road dust, construction dust and general refuse blowing through the air and contaminating equipment. 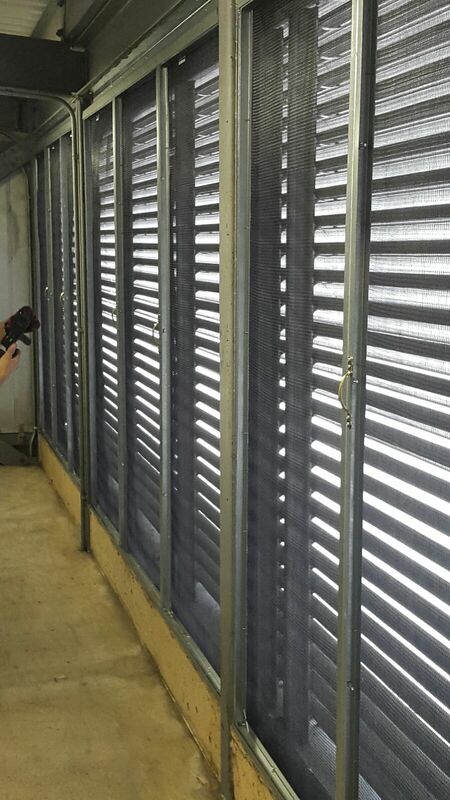 RABScreen were asked to install a filter system to protect the supply air at a regional hospital. 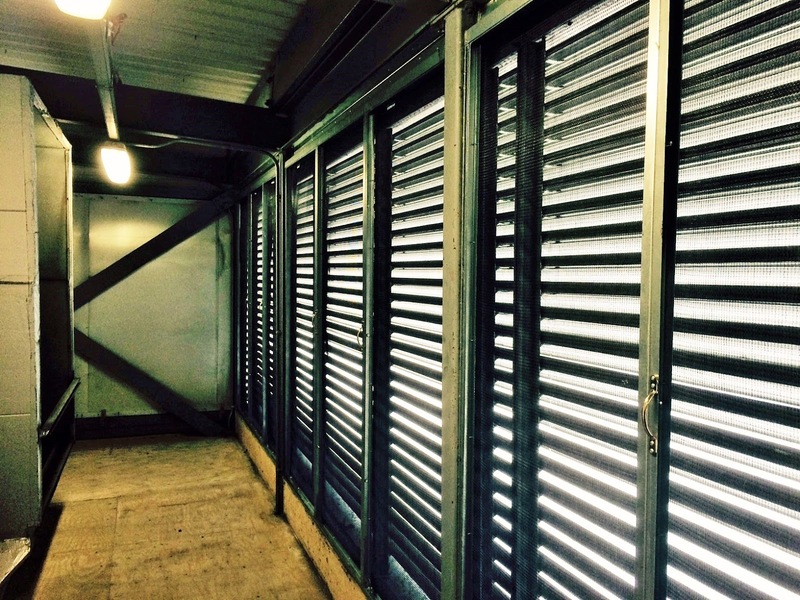 Each air handling unit drew air from a large air intake room. As with most buildings of this design, and in accordance with HTM03, vermin mesh was placed immediately behind the louvre. This was difficult to clean and was heavily contaminated with a blanket of debris including seeds, feathers, insects, pollen and dust. Using the unique AJM filter frame assembly with made to measure RABScreen filters we were able to remove the inefficient vermin mesh and replace it with an easy to maintain filtration system. Airflow has been dramatically improved leading to lower system pressure and higher efficiency for fan motors. Cost of the job irrelevant because energy savings payback recover the expenditure in less than four months whilst significantly reducing labour time allocated to maintenance. We also used the RABScreen magnetic filter frame in other areas of the hospital using a two layer media, stainless steel frame and magnetic strip. Easy to install on AHU intake sections.